2019 will mark the 70th anniversary of Jack Schaefer’s now canonical American Western novel Shane. Schaefer’s story of the “Rider from Nowhere” was originally published as a three-part series in the Argosy, a “pulp fiction” magazine, in 1946. Dramatically announcing the “peculiar” mysteriousness of the central protagonist, as Marian Starrett suggests in the first chapter, the story was revised as Shane and first published as a novel in 1949. Hailed as “a work of literature first and a Western second” (Shane, back cover), the novel was followed in 1953 by George Stevens’ film adaptation of the late 19th-century “Western” as an epic of psychological suspense. Clint Eastwood’s variation on Shane in the form of Pale Rider followed in 1985. Several years before his death in 1991, Schaefer commented that “[a]ll responsible writers of fiction, whatever form their work takes, are reformers at heart” who are “dissatisfied with the world as it is and write about it as they believe it should be” (“New Direction” 426). The “ultimate purpose” of such fiction, he said, is “to help a bit in remaking this sorry old world,” either by “showing . . . readers what should be admired and emulated” or by showing them “what should be despised and avoided” (426). Studying Shane at seventy, I believe we need to examine how and why this work of fiction reflects this “ultimate purpose,” and we need to pursue the other question raised by the Marxist world outlook: what are the class limits of Schaefer’s “ultimate purpose”? Like his mother Marian, young Bob Starrett, the narrator, also recognizes Shane’s peculiarity as a “magnificence” in “the very air of him,” which “showed the effects of long use and hard use” (Schaefer 5).1 But why is Shane so peculiar? I would like to propose here that Shane’s peculiarity needs to be connected to the peculiar ideological significance of the novel as a whole. This is a peculiarity that reflects the class character of literature in class-divided society. As Mao Zedong argues, “all culture, all literature and art belong to definite classes and are geared to definite political lines,” and thus there is “no such thing” as a literary work that “stands above classes” or is “detached from or independent of politics” (86). The class-based peculiarity in Shane, however, is obscured by the novel’s own narrative logic, and it is further obscured by seventy years of readings and rereadings which have effectively—that is, not necessarily intentionally nor consciously—suppressed the novel’s inherent controversiality as a text of class conflict. Although Schaefer’s novel is a literary work of a distinguished rank, and one with a wide recognition and readership (in many American high school literature classes from the 1950s onward, for example), its story of Western frontier heroism centered around the shadowy nowhere man is seldom treated as a controversial text. Indeed, the popularly controversial film critic Pauline Kael was so unmoved by the “elaborately simple” movie version of the story that she criticized it as an “academic” exercise in Western mythmaking: “overplanned and uninspired” and “so self-importantly self-conscious,” yet “salable” (Kael 370). Rather than being understood controversially, Shane has always been regarded and accepted as a very “popular” story for teenage as well as adult readers. As Marjorie Stelmach says in the beginning of Shane: The Teacher’s Companion, the novel is well-suited for “almost any group from middle school through graduate school” (intro.). Similarly, Lynn Dieter pointed out in 1970 that Shane is written “at an easy reading level for high school freshmen” (1258; quoted in Haslam 19). Gerald Haslam suggests, however, that the novel is only “seemingly simple” (19). But what if Shane actually is a controversial text precisely because of its articulation in the class structure of being “geared to definite political lines” (Mao 86)? I think it is, but its controversiality, as I suggested earlier, is of a “peculiar” quality because it is ideological, and it is ideological because its narrative is rooted in the contradictory social relations of classes. Shane is controversial, however, not because Shane the character is a self-reflexively class-conscious revolutionary—which, of course, he is not. On the contrary, Shane is controversial because it is a text of culture that attempts to teach readers to accept the social order of capitalism—and their particular class position within the capitalist structure—as the natural and inevitable “civilizing process” of humankind, to use M. Gregory Kendrick’s term from his book The Heroic Ideal: Western Archetypes from the Greeks to the Present (3, 19-23). The novel’s peculiar controversiality, in other words, is an ideological effect of its dialectical quality. As Lenin writes in his study of Hegel, dialectics is the “unity of opposites” (222), the “struggle . . . of these opposites, contradictory strivings” (221), and the “endless process of the deepening of man’s knowledge of the thing, of phenomena, processes, etc., from appearance to essence and from less profound to more profound essence” (221). Viewed dialectically, Shane is inherently controversial because it reflects the existence of classes in their historically situated movement and contradictoriness, yet the story is at the same time uncontroversial because it deflects the problem of class struggle through the “[m]ysterious” (Schaefer 11-12) singularity of Shane and the “something about him” (11) as “[s]omething intangible and cold and terrifying . . . in the air between us” (6). Shane is dialectical because its “unity of opposites” depends upon the controversiality of class conflict—as Bob tells us, there was the “only shadow over our valley, the recurrent trouble between [Luke] Fletcher and us homesteaders” (58)—while at the same time “striving,” as Lenin says, to maintain its uncontroversial literary mysteriousness, which seems to have nothing to do with class conflict and instead is all about a man whose very “name remained mysterious. Just Shane. Nothing else” (59). If Shane is (re)understood as a controversial narrative, this does not mean that its long-standing popularity is simply the result of a “cultural” misunderstanding or misinterpretation; rather, the story’s status as a canonical work becomes ideologically significant as a marker of the power of the dominant ideology. And the dominant ideology, again, is an effect of the class structure in which “popular” stories function to uncontroversialize class itself as the fundamental social division. The dominant class ideology in capitalism needs literary narratives which can effectively—that is, unconsciously and in “peculiar” ways—teach bourgeois class lessons to the working class and the future working class without having it appear that class lessons are actually being taught. Thus the “popular” position of Shane is not a misunderstanding or misinterpretation but rather is precisely the kind of class “understanding” that capitalism and its ruling class needs: a popular literature that can subtly and in exciting, suspenseful new ways (re)legitimize the fundamentals of a social order based on exploitation and, of course, the law of private property. Although Shane, in the end, rides on “alone and unfollowed” (162) out of “our little valley” (168) which has no name—because it is the valley of all humankind—Marian as well as Bob have the deep revelation that “[h]e’s not gone” but, on the contrary, is “here, in this place, in this place he gave us . . . all around us and in us, and he always will be” (165, 167). Bob thinks of him “in each of the moments that revealed him to me” as the “power and grace of a coordinate force beautiful beyond comprehension,” as the “one indivisible deadliness” of “doing what had to be done” (167-168). Shane is popular, (un)controversial, and translated into at least thirty languages because, as Teresa L. Ebert and Mas’ud Zavarzadeh argue throughout Class in Culture, it is a brilliantly written literary work which is a “cultural extension” (8) of capitalist ideology: a “cultural articulation of the material base of the society in which it is produced” (8). By making Shane a mystery “beyond comprehension,” the novel attempts to persuade readers that Shane’s “peculiar” heroism is “in us” all and “in this place” where the working class (hired hands) and the innocent bourgeoisie (homesteaders) can live in communities of harmony without questioning the regime of class that links every “little valley” in the system of exploitation. But the other class lesson that needs to be learned from Shane is that the “ruthless force” (Schaefer 104) he unleashes against Luke Fletcher’s gang is, in an individualized and localized form, a reflection of the ruthless force of “doing what has to be done” to put an end to classes through revolution. Shane is a text of highly evocative writing that articulates the American Western with an innovative sense of depth. Robert Mikkelsen suggests that Shane—along with Schaefer’s other stories—is a “refreshing” work of “modern” and “popular fiction” which has “broken away from [the] stereotyped use of the western scene” (301) and is therefore distinguishable from “run-of-the-mill popular fiction” (302). Fred Erisman argues that the novel is “more . . . than a simple paean to the agrarian life” (291) and is actually concerned with “more than just the American cowboy” (297). The “something more” (296) in Shane involves what Erisman calls the “self-knowledge” (297) by which one comes to “know who he is, what he wants, and how he proposes to get it within the bounds of established society” (297-298, emphasis added). Schaefer helps to make the American Western “new” again for “Western” readers in the post-World War II renewal of capitalism as an increasingly complex “logic” of social relations in which the working class and the ruling class “get along” and forge a trans-class alliance against socialist and communist alternatives to the concept of a “free world.” As Shane approaches the Starrett homestead, Bob speaks of “the impact of the man himself” (Schaefer 2). He tells us that he “could read the endurance in the lines of that dark figure and the quiet power in its effortless, unthinking adjustment to every movement of the tired horse” (2). Shane’s eyes “were endlessly searching from side to side and forward, checking off every item in view, missing nothing” (3). As Bob “reads” Shane, “a sudden chill, I could not have told why, struck through me in the warm and open sun” (3). Shane’s “easiness” is at the same time “a suggestion of tension” (3), the “easiness of a coiled spring, of a trap set” (3). This sense of innovativeness, however, is also subtly shaded by an uncontroversial aura of “easy reading” effortlessness, which ensures its celebrated absorption into the mainstream of American literary culture. As Roland Smith says in his introduction to the 2013 edition of the novel, its “unsurpassed” creativity of “quiet tension and acute danger” mixed with “love and honor” made his “third read” of Shane “even better than the first two” (viii). In other words, the novel is just as satisfying to (re)read now as it was in the 1950s, 60s, 70s, . . . or “even better” today. These appreciative and (re)popularizing readings of Shane have two things in common: they are all more or less uncontroversial, notwithstanding the more intellectually nuanced discourses of Work and Ebert; and they all have nothing to say about capitalism and classes as sociocultural analytics—that is, critical theoretical frames—that might possibly have some bearing on Work’s notion of the defense of “civilized values” as well as Ebert’s “puzzles and challenges.” The point I want to make here is that it is important to stress the wide popularity of Shane in contrast to its relative absence of controversiality—despite the powerful aura of “newness” that Schaefer brings to the Western storyline—in order to be able to inquire more carefully into how and why this sociocultural position of the novel is ideologically significant. I say this especially in the Marxist meaning of class ideology as a site of class struggle which is at once suppressed and reflected in the field of literary studies in capitalist society. To borrow from Ebert’s elusive reading of the elusiveness of the story, class ideology is the “something else” that gets dry-gulched. My aim here is not to depopularize Shane but rather to develop an account of its popularity as symptomatic of the ways in which the capitalist social structure is relegitimized through the pleasures of heroic mystification. Popularity in the dominant literary culture is, as Marx and Engels argue, an ideologically “ideal expression” of the “dominant material relationships grasped as ideas” (Marx and Engels 64). The ideology of the popular idealizes “the ruling ideas of the epoch,” which articulate the “ideas of the ruling class [as] . . . the ruling ideas, i.e., the class which is the ruling material force of society, is at the same time its ruling intellectual force” (64-65). What is at stake “behind” the steady popularity of Shane, to use Work’s phrase, is an uncontroversial popularity which needs to be made controversial precisely because of its “ideas of the ruling class” disguised as the “peculiar” heroism of Shane. In other words, Shane is an uncontroversial narrative so long as its “buried” ideological narrative of class contradiction remains concealed by mysteriousness—the “fascinating gray.” As I said earlier, Shane is an example of the dialectics of controversy: it is the controversy of class struggle converted into the popular evocations of the mysterious, thus becoming an uncontroversial “something else.” But the dialectics of class in capitalism is not simply a “something else”; rather, class dialectics is the something else capable of becoming something else. As Marian recognizes: “Yes, of course. Mysterious. But more than that. Dangerous” (Schaefer 12). Until Shane rode into the valley, Bob’s heroes were Fletcher’s hired hands, the “young, easy-going cowboys” (58). But he soon finds that he “wanted more and more to be like Shane” (59). Bob also notices “the effect [Shane] had on father and mother” (43). They seemed “more alive, more vibrant, like they wanted to show more what they were, when they were with him” (43). For Bob, Joe and Marian, Shane is “a man so deep and vital in his own being” (43). As mentioned earlier, Shane’s heroism and its “effects” can be related to what Kendrick theorizes in The Heroic Ideal as the “civilizing process” (3, 19-23; Elias 1978) underlying the wide range of heroically “ideal” figures throughout the last three millennia of “Western” societies and cultures. Examining the broad question of “why our societies continue to embrace these extraordinary figures” (1), Kendrick argues that the tales of “heroic ideals” are “doing something more” (1) than merely providing popular entertainment or escapist fantasy. The “something more” of such stories is what he calls “a powerful heuristic” (2) that guides the public in “the search for answers to questions about lawful authority, right conduct and essential goodness” (2). The “civilizing process” is the way heroic narratives and their “changing conceptions” (4) of heroism—including anti-heroism or post-heroism—are “used . . . to propagate and perpetuate codes of moral conduct, religious beliefs and practices, and systems of economic, social and political control” (2). Shane’s “vital” aspect, for example, clearly echoes the “heroic vitalism” (Kendrick 150-158; Bentley 1969) promoted in the thought of Thomas Carlyle and Friedrich Nietzsche. For Carlyle, the vitalistic hero is distinguished from others by being “especially imbued with the vital energy of the life force,” which manifests itself in the hero’s “special talents and abilities” enveloped by a mysterious “gift of grace” (Kendrick 152). This enables the hero to “wield disparate forces together, create order out of chaos, and master the events of [the] times” (152). For Nietzsche, despite his tendency for indulging in “rambling disjointed collections of aphorisms” (155), the conception of vitalistic heroism that generally emerges is one in which “existence”—for all times and places—is nothing more than a series of “bitter and unequal struggles for survival and mastery” marked by “adaptive strategies” and “primal urges” (155). The hero, or, “a new generation of heroes,” will “liberate themselves . . . and ‘live dangerously’” (155, quoting Kaufmann 97). Bob witnesses Shane and Joe’s bar room brawl with Fletcher’s men. Expressing the Nietzschean view of heroic vitality, Bob tells us that Shane emerges from the fight with “a soft laugh, soft and gentle, not in amusement . . . but in the joy of being alive and released from long discipline and answering the urge in mind and body” (Schaefer 105). As Kendrick points out, however, the Nietzschean vision of “vital” heroism—supposedly moving toward a “beyondness” or “overcoming”—is “somewhat vague . . . as to the nature of the new order that would emerge” (Kendrick 156) in the aftermath of the vitalist’s “dangerous” interventions. Shane is also “somewhat vague” about how exactly the social order in the valley will be or should be altered when Fletcher and his henchmen are eradicated. In fact, the deep socioeconomic “mystery” of the story—its economic content—is that nothing really changes at all except for the higher sense of moral “community” that emerges among the property-owning homesteaders. When Fletcher is dead, his maniacal economic plan of dominating all property and natural resources in the valley is disintegrated. Shane is the “vital” individual agency of what Marx variously calls “political emancipation” and “political revolution” in his critique of Bruno Bauer’s “left” adoption of Hegelian social theory. Shane’s “political revolution” in the valley is to single-handedly “overthr[o]w this power of the ruler” and make all civilized affairs in the valley “the affairs of the people” in a “community life” (Marx 64). But this apparently wonderful outcome only serves to reinforce the sense of “natural” frontier justice that rests on the individual or family-based property rights of the homesteaders. This “somewhat vague” class order is effected, in part, by the ideological idealization of Shane’s “vital” being of “that familiar power surging through him” (157) and his “indifference of absolute knowledge” (157). Earlier in the story, Joe excitedly tells Marian, “We’ve got ourselves a man” (46). Joe “quit punching cattle for another man’s money” (45), but he finds that he has “more work here already than one man can handle” (45). Shane becomes “a man” who will “get good wages and . . . earn ‘em” (46). But he is a “peculiar” man, a “mysterious” man, and a “dangerous” man. His vital civilizing lesson is, as Marx further explains in opposition to Bauer, the ideological renewal of “egoistic man” as “a member of civil society . . . identified with authentic man” and “the natural man” (Marx 65). The “authentic” man is “not liberated from property” but, on the contrary, “receive[s] the liberty to own property” along with “the liberty to engage in business” (65). The “political revolution” that Shane carries out on behalf of the homesteaders is both “popular” and, at the deep level of bourgeois ideological common sense, uncontroversial. This is because its “politics” of emancipation ultimately signals the triumphal revitalization of the capitalist mode of production and its now “reformed” configuration of social relations grounded in the security of private property: the bourgeois ideal of the “rights of man” (61-63), as Marx stresses. Thus the truly controversial class politics that gives Shane its aura of mysteriousness is the story’s suppression of the transformative question, which is to ask, as Marx says, “what kind of emancipation is involved?” (55). The controversiality of Shane lies in its “ultimate purpose” (Schaefer, “New Direction” 426) of unconsciously marginalizing what Marx calls “human emancipation” (Marx 57-58, 66) as opposed to “political emancipation.” The latter conception of emancipation is “the final form of human emancipation within the framework of the prevailing social order” (58). Shane is a popular ideological narrative within the bounds of this framework, hence its uncontroversiality, its inability to break the class limits of capitalist common sense. As Shane cryptically suggests, “It’s always the same” (Schaefer 45). “Human emancipation,” however, is the other framework of emancipation through class consciousness and class struggle. This is the controversy of Shane precisely because it is the class subtext of the story’s popularity. Reading Shane at seventy in this way is to controversialize it by asking the question of critique which Marx asks: “what kind of emancipation is involved” in this work of literature? What kind of heroism is involved in this Western? What kind of heroic emancipation would be doing what needs to be done? Bentley, Eric. The Cult of the Superman: A Study of the Idea of Heroism in Carlyle and Nietzsche, with Notes on Other Hero-Worshippers of Modern Times. Gloucester: Peter Smith, 1969. Print. Dieter, Lynn. “Behavioral Objectives in the English Classroom: A Model.” English Journal 59 (Dec. 1970): 1258-1262, 1271. Print. Ebert, Roger. 2000. “Shane.” RogerEbert.com. 3 Sept. 2000. Web. 1 May 2016. www.rogerebert.com/reviews/great-movie-shane-1953. Ebert, Teresa L., and Mas’ud Zavarzadeh. Class in Culture. Boulder: Paradigm, 2008. Print. Elias, Norbert. The History of Manners: The Civilizing Process. Vol. 1. New York: Pantheon, 1978. Print. Erisman, Fred. 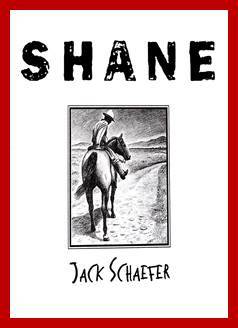 “Growing Up with the American West: Fiction of Jack Schaefer.” Shane: The Critical Edition. Ed. James C. Work. Lincoln: U of Nebraska P, 1984: 289-299. Print. Haslam, Gerald. “Jack Schaefer.” Shane: The Critical Edition. Ed. James C. Work. Lincoln: U of Nebraska P, 1984: 16-56. Print. Kael, Pauline. “Shane: Review.” Shane: The Critical Edition. Ed. James C. Work. Lincoln: U of Nebraska P, 1984: 370-371. Print. Kaufmann, Walter. Nietzsche: Philosopher, Psychologist, Antichrist. Princeton: Princeton UP, 1968. Print. Kendrick, M. Gregory. The Heroic Ideal: Western Archetypes from the Greeks to the Present. Jefferson: McFarland, 2010. Print. Lenin, V.I. “Conspectus of Hegel’s Book The Science of Logic.” Collected Works. Vol. 38. Moscow: Progress, 1976: 85-237. Print. Mao, Zedong. “Talks at the Yenan Forum on Literature and Art.” Selected Works of Mao Tse-Tung. Vol. 3. Peking: Foreign Languages, 1965: 69-98. Print. Marx, Karl. “On the Jewish Question.” In Karl Marx: The Essential Writings. 2nd ed. Ed. Frederic L. Bender. Boulder: Westview, 1986: 53-66. Print. ——— and Frederick Engels. The German Ideology. Part 1. Ed. C.J. Arthur. New York: International, 1989. Print. Mikkelsen, Robert. “The Western Writer: Jack Schaefer’s Use of the Western Frontier.” Shane: The Critical Edition. Ed. James C. Work. Lincoln: U of Nebraska P, 1984: 300-306. Print. Pale Rider. Dir. Clint Eastwood. 1985. Warner Home Video, 2010. DVD. Schaefer, Jack. “A New Direction.” Shane: The Critical Edition. Ed. James C. Work. Lincoln: U of Nebraska P, 1984: 421-430. Print. ———. Shane. Boston: Houghton Mifflin Harcourt, 2013. Print. Shane. Dir. George Stevens. 1952. Warner Home Video, 2000. DVD. Stelmach, Marjorie. Shane: The Teacher’s Companion. Ed. Jacqueline I. Gross. Saint Louis: Milliken, 1990. Kindle Edition. Van Riper, Tom. “The Top Pundits in America.” Forbes. 24 Sept. 2007. Web. 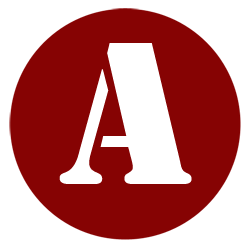 1 Aug. 2016. https://www.forbes.com/2007/09/21/pundit-americas-top-oped-cx_tvr_0924pundits.html. Work, James. “Shane Re-Envisioned.” Nieve Roja Review 1.2 (1997). Web. 1 May 2016. https://nieveroja.colostate.edu/issue2/shane.htm.